Staff and students at Kingsbury High School put their gloves on during Wear Your Gloves to Work Day on Friday 29th June 2012, to raise awareness and show their support for children and adults living with Scleroderma. Scleroderma may cause physical disability and can be life threatening. The skin, joints, tendons, and parts of internal organs can all be affected. It can affect anyone of any age and is a life-long condition with no cure. The cause of scleroderma is unknown. Children and adults with scleroderma often feel cold when most people don’t because one of the most common symptoms is extremely poor circulation – their hands literally go blue, or even black, with cold. They often need to wear gloves or coats – even in summer, hence, the Wear Your Gloves to Work Day campaign. For the sixth year in a row, Kingsbury High School’s Year 7 students supported the Send My Friend to School campaign to help highlight the fact that over 67 million children around the world are still missing out on an education. The school joined with thousands of others across the UK, and in over 100 countries worldwide, to show their commitment to education for all. Kingsbury High School’s Year 7 students took part in a two day workshop where they compared their right to education to that of others. Students then wrote letters to Prime Minister, David Cameron and Barry Gardiner, MP for Brent North putting the case for the 67 million children. 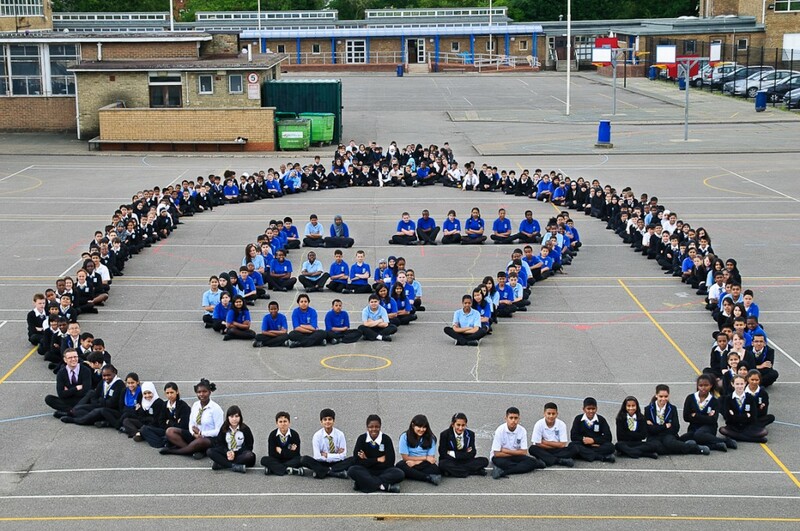 For a grand finale, the students formed the shape of a medal with the number 67 inside. The medal represents Go for Gold! – the theme for this year’s Send My Friend to School campaign and the 67 represents the 67 million children with no access to primary school education. 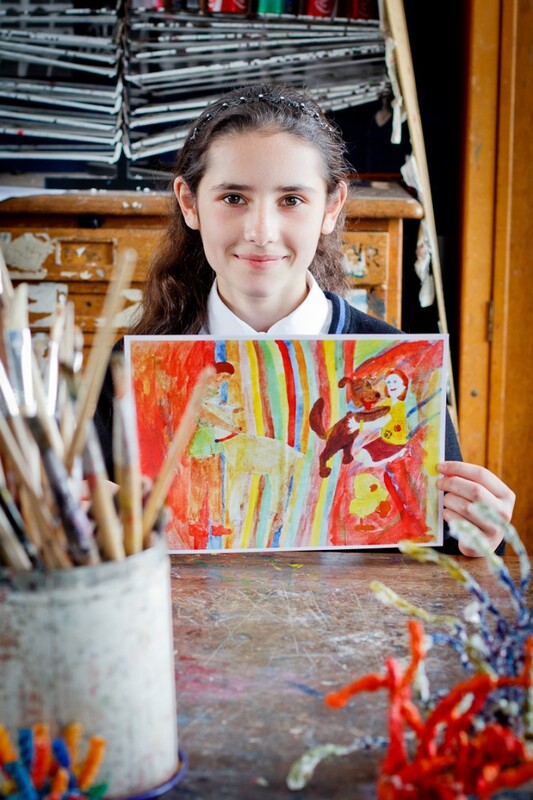 Talented local young artist, Ancuta, from Kingsbury High School in Brent, has been commended for her entry in a national youth art competition. The campaign group, Animal Aid, launched the competition to encourage young people, aged between 11-14 years old, to express their views on issues relating to the way animals are used in society. The competition had a different theme for each year group: Year 7 – Caring for animals; Year 8 – Factory farming; Year 9 – Animals in captivity. Ancuta’s artwork falls under the Year 7 – Caring for animals category and painted in watercolour, depicts young peoples’ love and compassion for animals. Animal Aid received hundreds of entries from individuals and schools all over the country and was delighted by the extraordinarily high standard. 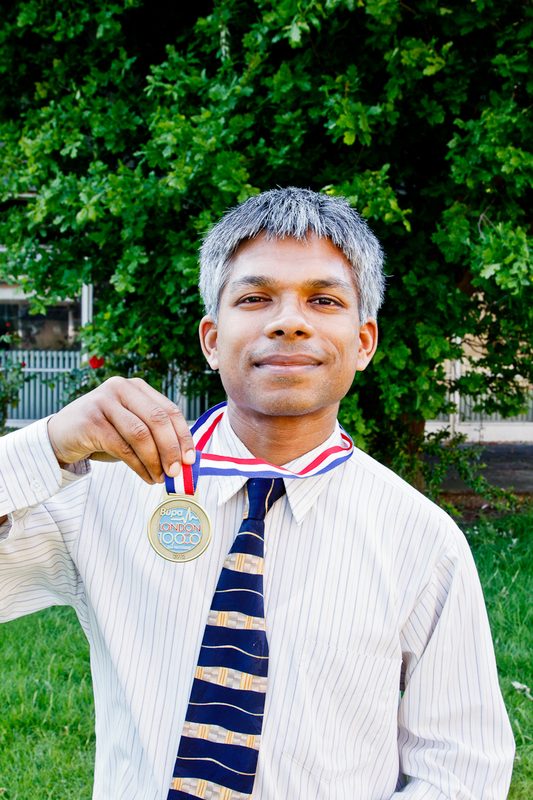 Congratulations to Kingsbury High School’s Head of Year 9, Mr Das, for completing the BUPA London 10000, 10km road race along the Olympic Marathon course through central London. The race took in some of the most famous landmarks in the world, going through Trafalgar Square, along the River Thames up to St Paul’s Cathedral and the City of London before coming back towards Big Ben and the finish in front of Buckingham Palace. Held just one week before the Queen’s Diamond Jubilee, London looked beautiful in the bright sunshine. The route was lined with spectators and bands, all cheering encouragement and spurring the runners on.